Here’s some entertainment biz arithmetic. 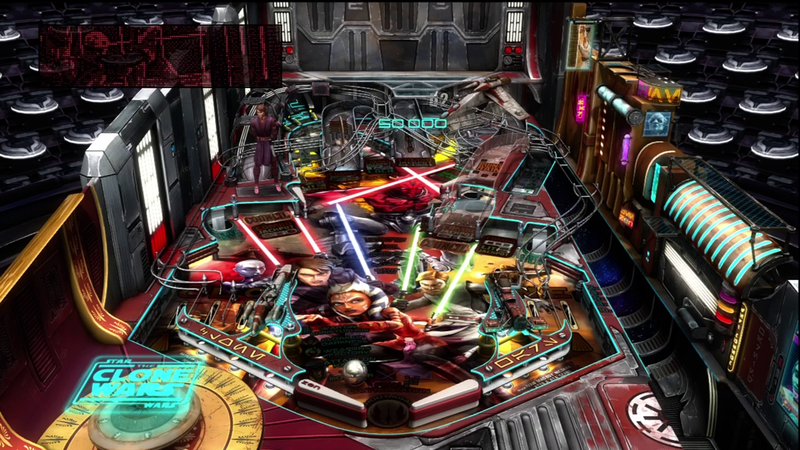 Zen Studios is famous for making top notch virtual pinball tables. Some of their best work has been the creation of tables based on Marvel properties. Marvel was purchased by Disney a while back. That means technically, Zen has been working on Disney properties. Not long ago, Disney purchased Lucasfilm. Star Wars is a Lucasfilm property, which means now Star Wars is a Disney property. And since Zen makes tables of Disney properties, guess what we’re reviewing today? Star Wars Pinball! It is a funny thing. When I cashed in the review code and started downloading, I was half expecting all three tables to have roughly the same visual style. After all, we’re talking three Star Wars tables, and Star Wars is fairly consistant, right? Wrong! That’s because the three tables in question are Clone Wars (based on the CGI TV Show), Boba Fett (based on the much beloved bounty hunter soon to get his own feature), and The Empire Strikes back (based on the second film of the original trilogy). This give a significant level of variety to the visuals. Look at all of those lightsabers! Now, I won’t bore you with my usual assessment of the top notch simulation and fully animated on screen characters. I’ve reviewed plenty of these tables, so it should come as no surprise that both are as top notch as ever. Let’s instead spend our time on the them. Clone Wars has the cartoonish feel of the series. 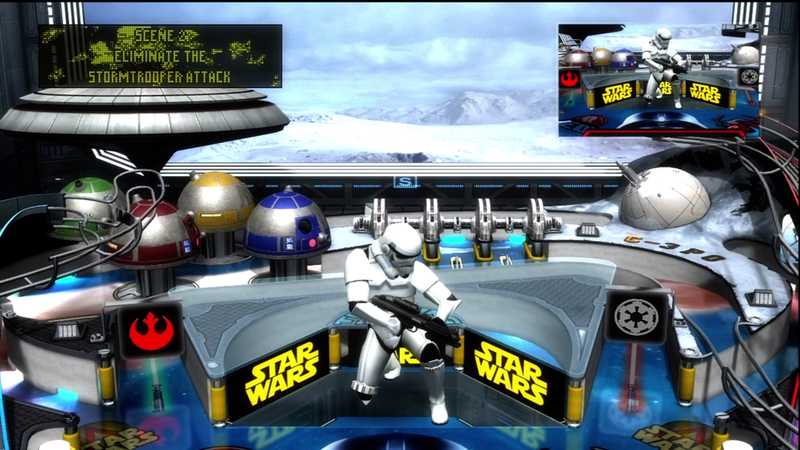 The setting includes plenty of stuff you’ll remember from the second trilogy, including a droid factory. The detail continues to be exquisite, with plenty of animation and flashing lights to catch the eye. The Boba Fett table, I’ll admit, contains a few things I’m more familiar with, though some of them strike me as a little fatalistic for our intrepid bounty hunter. I mean, there’s a Sarlacc pit! If you don’t know why that’s a touchy subject for the man in the mask, then maybe you should stop reading this and go rent the original trilogy. We see some familiar faces, including Vader and Jabba the Hutt, and good old Han Solo frozen in carbonite is prominently displayed (as well he should be.) Last but not least is the Episode 5 table. Now why they would start in the middle of a series that already started in the middle is a bit beyond me, but I must say I really dug this particular setting. 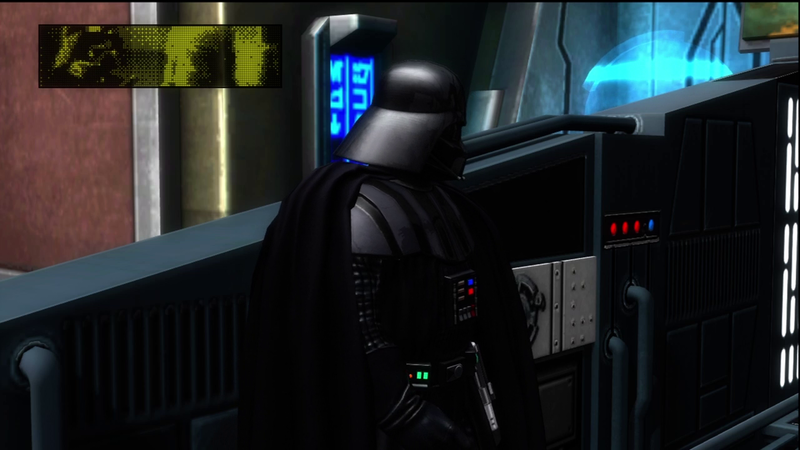 You play the game on the deck of The Executor, the biggest, baddest Star Destroyer in the fleet. It has all of the same glossy, angular style as epitomized it in the film, and we even get to watch five different scenes from the movie on the simulated dot matrix screen. 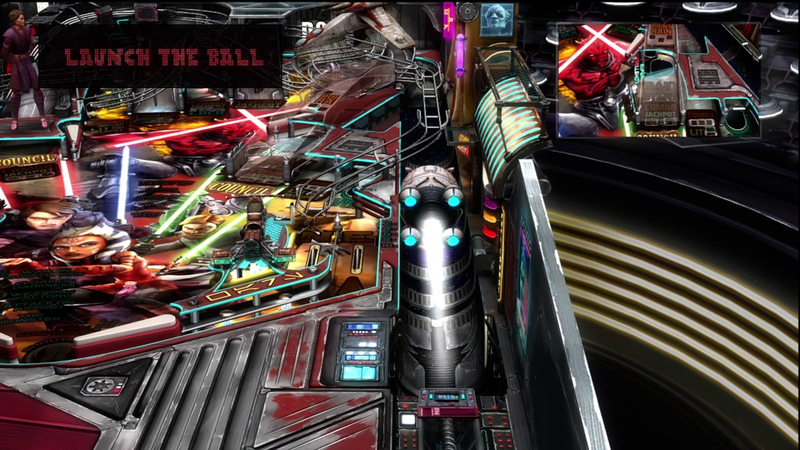 It is pinball, and well executed at that. Nothing really sprang out at me about the Clone Wars table, but the other two tables I got a kick out of. The “missions” that you play as part of any table are framed in the Boba Fett table as bounties. You can pick whichever ones you want (higher point totals are tougher, naturally), and you’ll be taking jobs from both the empire and the Hutts. Pretty neat. 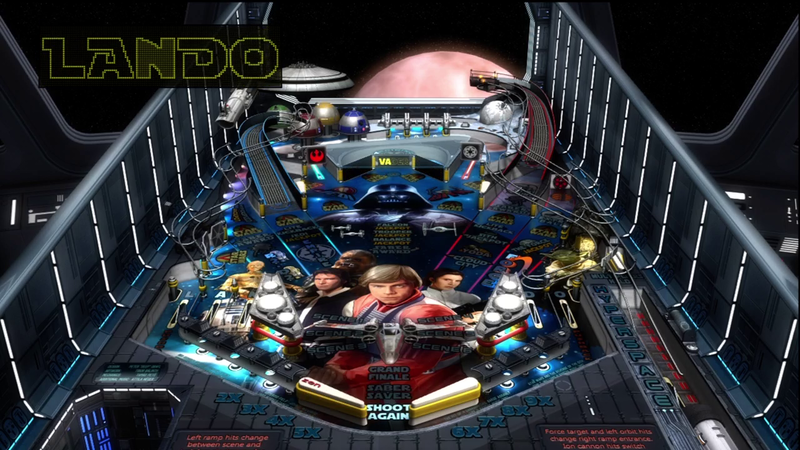 The Episode V table, as I said, has you playing on the Executor, and unlocking the ability to watch five key scenes from the move, which is a better motivation than most to do some precision shooting. That stormtrooper shot my ball! To be honest? I’m not quite impressed. Don’t get me wrong, it is well recorded, professional music and audio, but while they nailed the visuals, the audio fell short in my opinion. Yoda dispenses wisdom on the Clone Wars and Episode V tables, and he sounds fine, though not always exactly like the immortal Frank Oz. As for Luke, Han, and the rest? I don’t know. They just felt a little off to me. Unless they are the actual recordings, in which case I’m going insane. (Quite possible.) 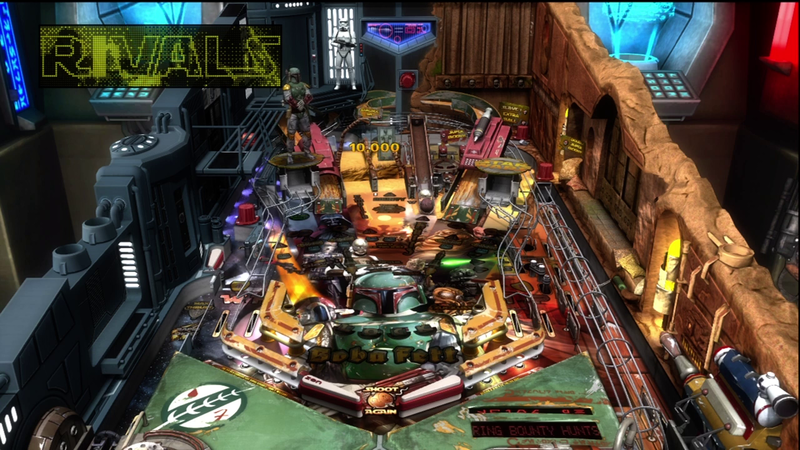 Also, by virtue of my lackluster pinball skills, I spent most of Boba’s table listening to the music associated with certain mission state, and that music sounded like sad elevator music. Jabba really needs to jazz up his muzak. A long time ago, in a galaxy far, far away… Seriously? You need me to spell this out for you? 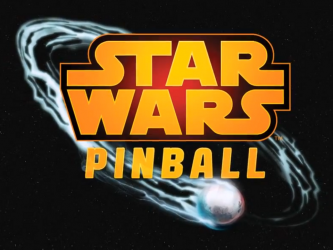 Star Wars Pinball is an excellent addition to the Zen Pinball Stable. The gameplay is as solid as ever. Each table looks the part. The audio could use some work, but overall it is a fine way to spend some virtual quarters. 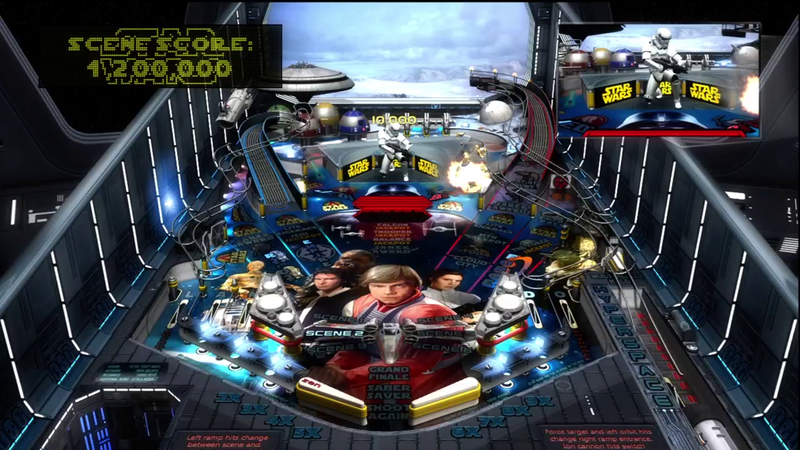 7.9 / 10: Aside from some minor audio shortcomings, Star Wars Pinball is an excellent addition to the Zen lineup.